Science in the Park is from noon until 2 p.m. Sunday, Sept. 16, at Mill Park, 6201 S.E. Overland St.
As cool, crisp fall days bring relief from a hot summer, folks are invited to breathe fresh air and learn about local watershed health during Science in the Park from noon until 2 p.m. Sunday, Sept. 16, at Mill Park in Milwaukie. The purpose of the event is for families to learn how to care for local natural spaces, said Adrienne Moat, community outreach coordinator for the Johnson Creek Watershed Council. Entomologist Celeste Mazzacano will sample some macro-invertebrates, mostly aquatic insects, from the creek and work with attendees to identify them and learn more about different species. "There will also be an art station for younger kids to learn how to draw or color different types of macro-invertebrates," Moat said, adding that an obstacle course will ramp up the fun. "The course mimics a lot of the obstacles that salmon face in their life cycle, like fish ladders, culverts, pollution and more. This course will teach kids about the important relationship between salmon in Johnson Creek and macro-invertebrates, and how they are linked in the food chain." 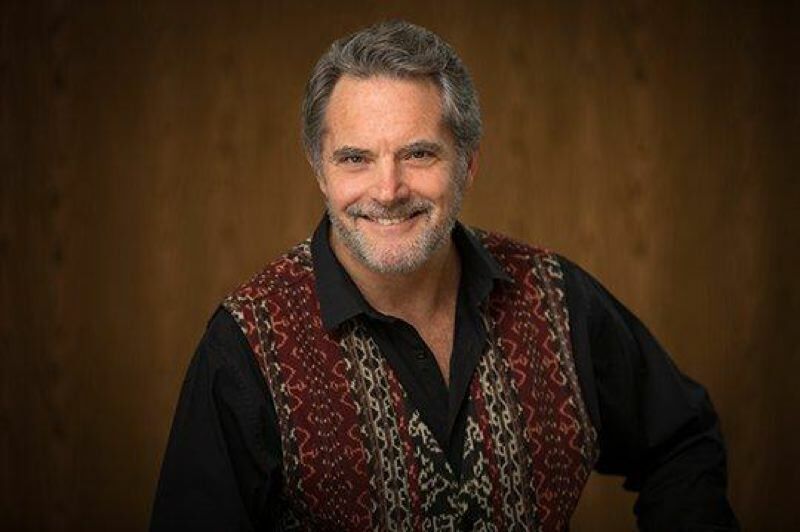 Also featured at the event will be Milwaukie resident and award-winning storyteller Will Hornyak, who will tell tales about stream health, fish habitats and wetlands. Moat said she was familiar with Hornyak's storytelling, having watched him perform at Milwaukie's Ledding Library, where her father was the reference librarian for over 40 years. She is pleased to have Hornyak at the event because she believe narratives have great power. "Will has a way of really engaging the audience and children via his follow-up questions to his stories that keep children on their learning edge," she said. "Storytelling is a great way to entertain and educate ourselves about the natural world in our own backyards, especially when we can do it at a beautiful place like Mill Park right on Johnson Creek," Hornyak said. He said he likes to use simple props and participation stories to help bring facts about urban watersheds to life. "I'll share stories with memorable characters like Queen Hydro-Phyte, a water-loving cattail reed, to teach about stream health, and to demonstrate how our personal actions at home and school affect the health of our watersheds," Hornyak said. One tall tale in his repertoire will be about a steelhead he caught in Johnson Creek a few years ago. "It was a big fish, and we took it home and kept it alive in a rain barrel for months. That fish was so smart we eventually taught him how to walk, breathe air and go fishing with us," Hornyak said, with a twinkle in his eye. "That story also has a lot of information about salmon and steelhead habitats as well as some simple suggestions about what we can do to ensure healthy habitats for fish and wildlife right here in our urban watersheds." Parents should bring their children to this event so they can learn about creek and water science in a safe and fun atmosphere with local experts, Moat said. She noted that hands-on experience in the outdoors activates the imagination and engages all of the senses; it triggers the beginning of genuine interest and care for the natural world in children's minds. "Being outside as a family making memories in the park that are also educational is the foundation of intelligent and inquisitive next generations. It is important we respect all creatures on this Earth, even the teeny tiny macro-invertebrates that we can easily forget are there sometimes," Moat said. Parents and children should attend Science in the Park because they'll "all learn something valuable and, hopefully, they'll come to more deeply appreciate the magic of nature right here where we live," Hornyak said. "There will be naturalists on hand with interesting and fun lessons and activities and plenty of time to simply enjoy the park and meet your neighbors," he said. 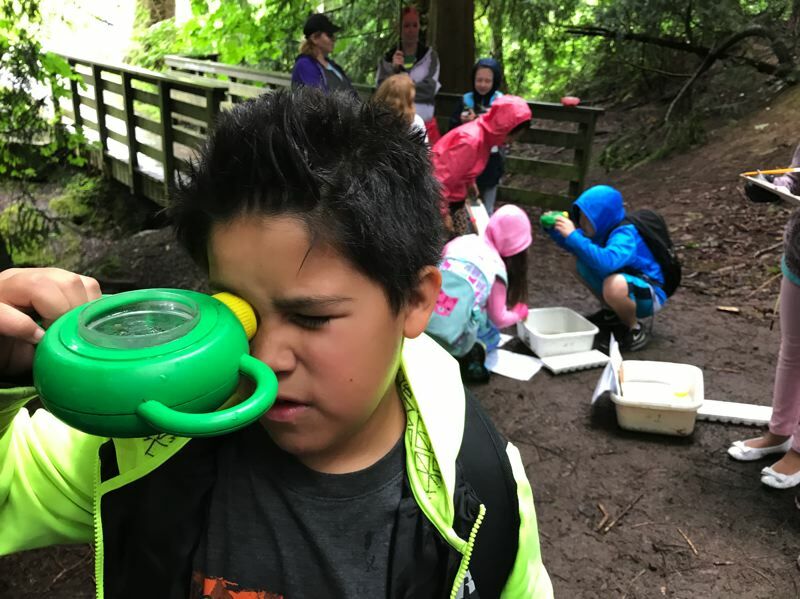 The Johnson Creek Watershed Council will host Science in the Park, in partnership with Water Environment Services of Clackamas County, North Clackamas Parks and Recreation District and North Clackamas Urban Watershed Council. Moat added that the purpose of an event like this is "to foster community throughout the watershed and, hopefully, to inspire the general public to get out and get involved with nonprofits like watershed councils in the spirit of service." Details: Naturalists will be on hand with activities and lessons about how to preserve the health of the watershed. Will Hornyak will tell stories about stream health, fish habitats and wetlands.